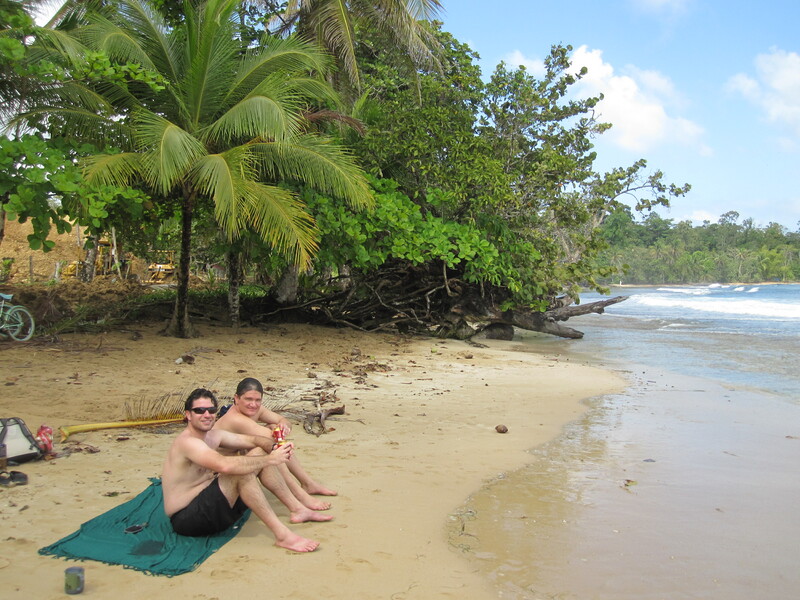 The first week of our trip was on an island off the Caribbean coast of Panama called Isla Colon. 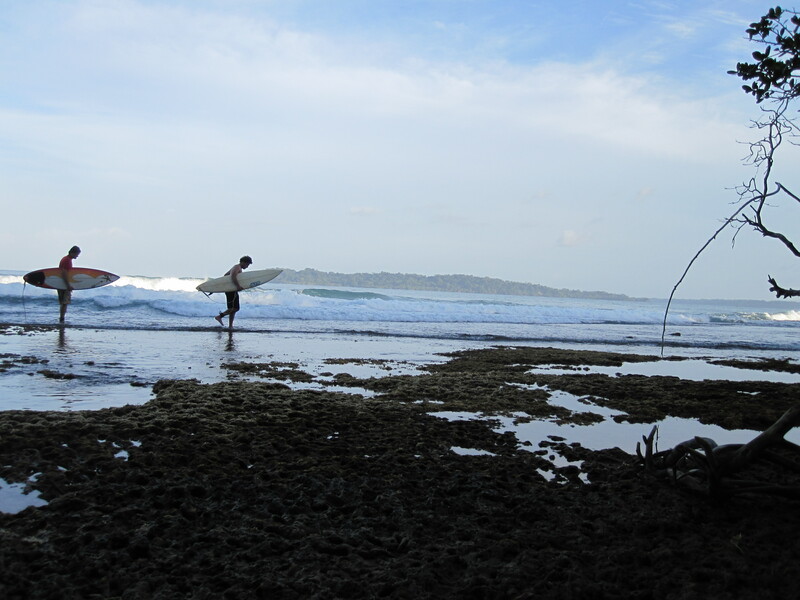 The Bocas Del Toro area is a string of tons of islands with awesome surf breaks and beautiful beaches. You can hop on water taxis to get to and from the main island. We spent a lot of time on the beach, hiking, surfing (at least Ryan and Mike did – I didnt quite get up the courage. The waves were mas grande!) and general relaxing. Evenings were spent at the local bars, and at our hostel (Mondo Taitu – I highly recommend it if you find yourself in Bocas)… where we developed a new obsession with Rum and Ginger Ale. 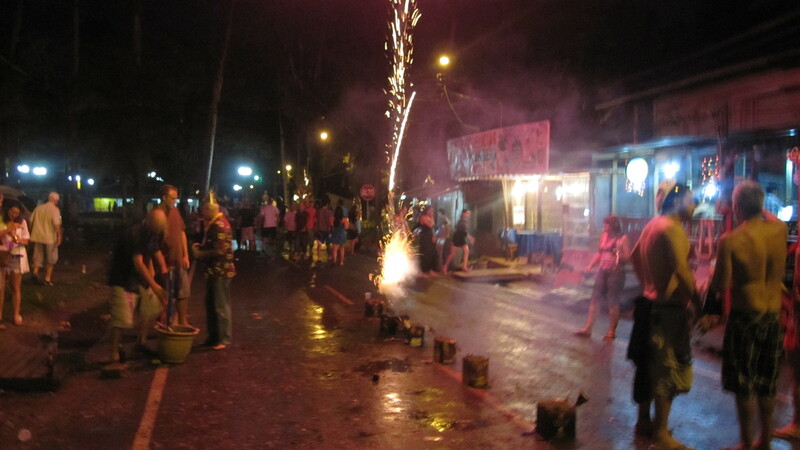 New Years Eve was crazy – all the locals and tourists lined the streets and shot off fireworks. 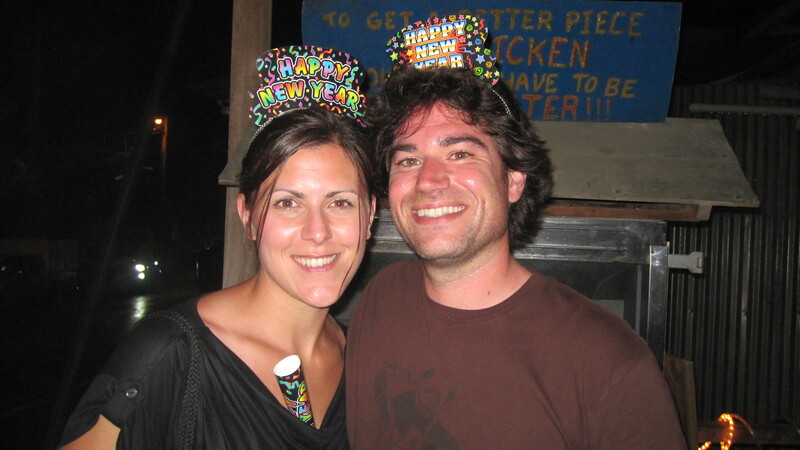 After our island getaway, we traveled to Panama City, where we bid Grazier adieu (we miss you!) and then to Colombia, where we are currently. Im a little behind because we’ve been traveling en masse with a group of eleven… more to come! 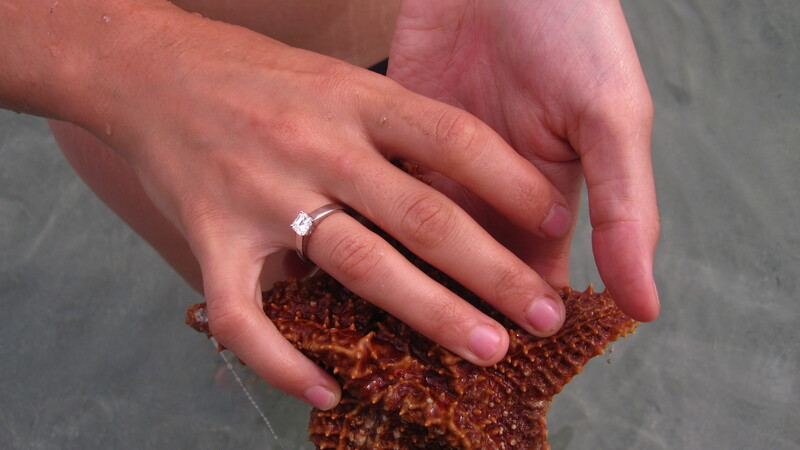 We rang in the new year on a beautiful beach called Playa Estrella with lots of starfish and one little engagement… A 16km bike ride through the jungle with a happy ending! 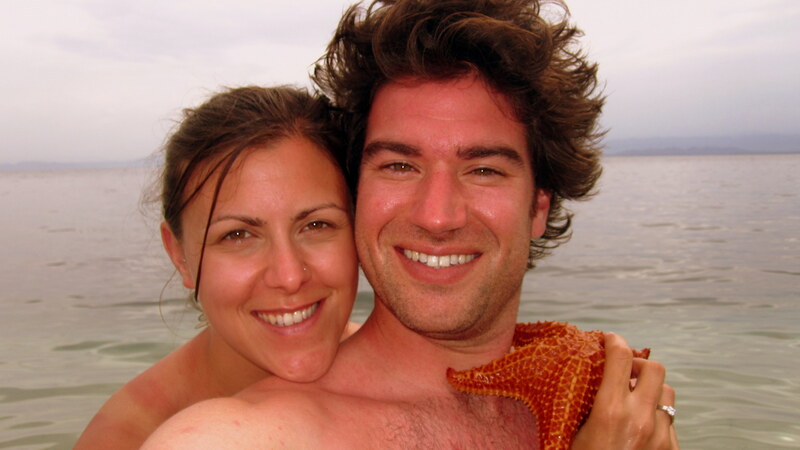 Before you say it – we have already invested in some sunscreen, I promise. We spent the afternoon on the beach, and headed to a local bar in town to ring in the new year with some friends from our hostel. Fireworks in Bocas are really easy to come by, so we almost got our faces blown off, but came out safe. 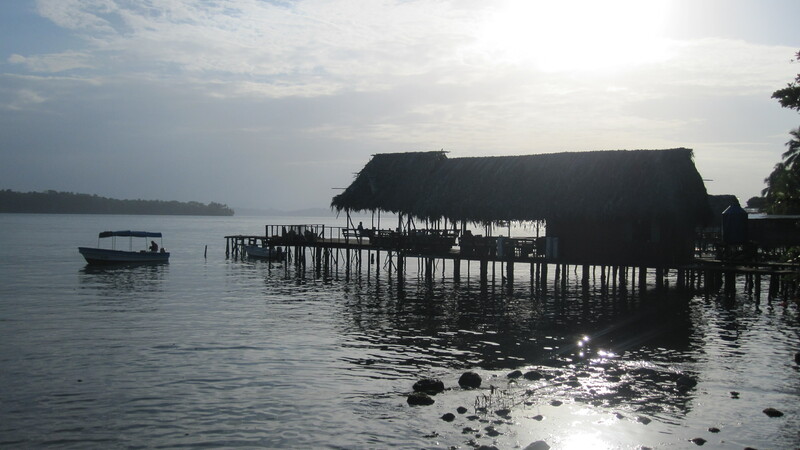 We’re off the island of Bocas Del Toro now and back in mainland Panama until January 5th. Then off to Medellin to celebrate Bill and Andrea’s wedding! I have more pics of Panama and will post more later. Love you all! Happy new year! 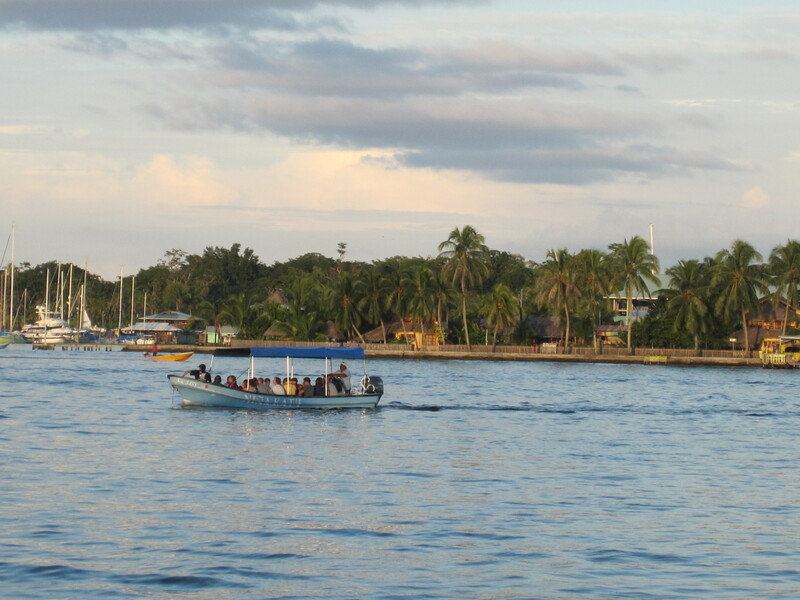 Made it to Central America safe and sound… currently in Bocas Del Toro through Jan 2nd. Pictures to come!